J. S. Bailey is an Indie author that I’ve had the pleasure of conversing with from time to time. She writes speculative fiction from a Christian perspective. I wouldn’t call speculative fiction one of my favorite genres, but I have enjoyed her writing. She wrote a blog post talking about the life of an Indie Author. I love her spirit. I hope you check her out on Amazon. By this point in time, I have published four novels (one currently out of print) and sixteen short stories. It has been a wonderful journey, and I wouldn’t change it for anything. In 2016, I drove 4,927.2 miles to and from events promoting my books. I had $4,560.41 in sales from my books. I spent $5,317.47 on inventory purchases, editing, formatting, advertising, Square fees, shipping, and other book-related expenses. I wrote this as an addendum to my regular devotional writing on my devotional blog: Daily Enduring Truth. I decided to share this here because I think the story, while simple, has an important message. In reply, Jesus said to him, “A certain man was going down to Washington, D.C. to petition his congressman, when he was pistol-whipped and mugged. They stripped him of his clothes, his money, and his credit cards. They left him for dead and went on their way. A Libertarian drove up and looked at the half dead man. “Everyone knows this is a bad neighborhood. He should have made better choices. We’re all responsible for our own choices.” He shook his head and then went on his way. Then a Republican came along and looked at the man who was beginning to stir. “You know you could have prevented this,” he said as he patted his chest. “If you had just gotten your concealed carry license you wouldn’t be having these problems.” Then he drove away also smiling and patting his chest. Then along came a Democrat. When he saw the man he immediately got out of his car and made sure that man was breathing. He pulled out his first aid kit and bandaged the wounds. Then he put the man in his own car and drove him to the nearest hospital. When the nurse asked about the man’s insurance, he couldn’t reply, since he was still out of it, so the Democrat looked at her and said, “I’ll pay for everything, Just take care of him.” He pulled out his American Express® card to let her know that he was serious. We live in a world that is so politically charged that many will read this story wrong. Still, Jesus probably had some of the same problem. So, before you misinterpret this story, let me point out that I am an Independent Conservative, not a Democrat. That is why a Democrat is the hero of the story. If you are a Democrat, or even a liberal who doesn’t identify with the Democrat party, you need to have a Republican as the hero of the story. Switch the order and have the Democrat say something like, “Oh, that’s terrible. Someone ought to help him,” and then drive away while the Republican cares for him. The key is understanding the message of Jesus about loving our neighbor. We are called to be neighbors to all people: Republican or Democrat – even Libertarians, citizen or immigrant, Christian or non-Christian. Being a neighbor doesn’t mean thinking good things of the people around you; being a neighbor means being the kind of person who helps people in need without worrying about how they got there. Our job is to show mercy. Madeline Dyer just re-released her breakthrough novel, Untamed, this week and I thought it would be interesting to get to know this remarkable lady. She signed her contract for Untamed at the age of 19. She released her second book in the Untamed Series, Fragmented, in 2016 (with a coming re-release with her new publisher soon), and will be releasing her third novel in the series, Divided, in July of this year. Do not be fooled by her young age. She is wise in the ways of this business and has some great help for people like me. I hope you enjoy getting to know her as much as I did. Hello Madeline! It’s so great to have this chance to get to know you. Tell me about yourself. What do I need to know about you as a person and as an author? Hi! So, I’m Madeline, and I live in the southwest of England. I have a strong love for anything dystopian, ghostly, or paranormal, and I own so many books that I’m slightly worried my floor is going to give way. (But you can never have too many books, right?). I’ve got an Honours degree in English from the University of Exeter, and I now write full-time. Full time! Wow! That’s amazing. Tell me about your writing. What genre do you prefer? What books or stories have you published, or are about to publish? Tell me about your series that you’re working on now. I’m a speculative fiction writer, and my work has been published by several small presses. My favourite genre within speculative fiction probably has to be dystopian fiction…though I do love fantasy—my Untamed Series (originally published by Prizm Books, and most released by Ineja Press) is a genre blend of dystopian and fantasy elements, and I’d say those books represent me as a writer pretty well. I’m currently working on a secret new manuscript and Divided, the third book in the Untamed Series. Divided is scheduled for a July 11th, 2017 release, and at the moment I’m addressing beta-reader feedback. Soon it’ll be off to my editor. Wow! I’m impressed. I ‘m still dreaming of that day for me. But as a full time writer, you can’t just sit back and enjoy that feeling for too long. It’s time to begin your next novel. Give me an outline of your work process from the beginning of the idea, to the research you may do before (and during) the creative process, the actual writing, the editing, the rewriting up until the day the manuscript is ready for a publisher. So, for me, I tend to start the whole ‘write a novel’ process as soon as a spark of an idea captures me. I don’t sit on ideas for weeks to let them germinate; I just grab a pen (or my laptop), and go. It’s only when I start writing that I get to know and explore an idea, and so writing a messy first draft is essential for me to actually discover the story and the characters. I literally write everything that comes into my head, and at this point I don’t let myself edit it. I might make a few notes separately, but for me the important thing is actually finishing the first draft. And I usually don’t know the characters truly—or the world they live in—until I’ve written an ending for that first draft. And then I’m left with a very messy first draft that doesn’t make sense, and that’s full of holes. But this is where my rewriting begins—and frankly, the rewriting is my favourite part of it all. It’s taking my messy draft and making it into something readable. By this stage, I know my characters well—or If I don’t, I do loads of character work on them—and I can also see the manuscript as a whole, rather than just a chain of events that makes up the plot. I can see how things feed into each other, and where the pacing is off, or parts that lack tension. So, I typically do a huge rewrite looking at structure and all the big issues. It’s here where I nearly always use Blake Snyder’s beat sheet, found in Save the Cat, to help with the structure and to make sure I’ve got all the necessary components. The other thing I look carefully at when rewriting is my main character. His or her voice needs to start coming through now, and the MC (main character) needs to be realistic and believable, needs to have flaws…but the protagonist also needs to be active (and not just reactive). He or she has to make the stuff happen, particularly in the latter part of the manuscript. The MC needs to take charge and make sure she meets her goal. And that brings me to the MC’s goal… I typically do another rewrite to ensure that my protagonist has a clear goal or something that he or she wants to achieve, and that readers know what will happen if they doesn’t achieve it…what the stakes are. That sort of thing. This then becomes my characterization rewrite where I look really carefully at all my characters and their individual goals and backgrounds—and I make sure that my antagonist’s reasoning for his/her actions is also clear and logical in their head (as the antagonist is also the hero of his/her own story). By this point, I usually find that my plot is changing a lot and my new draft is vastly different to that messy first draft. It’s more balanced and structured (and any scenes that don’t either move the plot forward or reveal something important about a character are taken out). Next up, I concentrate on worldbuilding and really making sure that I know every single detail about the world I’m writing, and that readers know enough to understand the world I’m asking them to (temporarily) live in. And this also becomes the editorial round where I do loads of research. Alongside my earlier rewrites, I would’ve made many notes and questions about stuff I need to look up, so here is where I do it. After this, the manuscript is usually in pretty good shape and once I’m really happy with it, I send it to my beta-readers and critique partners. About four to eight weeks later, I get their feedback and comments, often with loads of suggestions and highlighted parts that they didn’t understand. I then spend the next month or so addressing their comments in a new round of edits and really making sure the manuscript is as best it can be. Every once in a while, I run into people seem to think that an author just has to write down a bunch of words and put it into a book. Thank you so much for all the details on all the work you do. That’s amazing. To be honest, I’m exhausted just reading what you do. It’s hard to imagine doing that. Seriously, though, I saw that you are involved with the “Lift 4 Autism” project for this year. How did you get involved with this project? Why is it important for you, or any other author, to be involved in projects like this? I saw a call for submissions for a fantasy anthology raising money for Lift 4 Autism and I signed up to find out more info. I had to give quite a bit of info about myself as an author and my writing credentials—as well as links to my traditionally published works—and a few weeks later I found out that I’d been selected to write for the anthology. My novella, “The Curse of the Winged Wight”, is a gothic fairy tale retelling of the Sleeping Beauty story, and the whole anthology releases on April 1st 2017. Writing shorter fiction is always something I find challenging (I’m used to writing novels that are around 100,000 words) and I think it’s important for writers to regularly step out of their comfort zones, so that’s why I wanted to be involved. Plus, it’s for charity, and it’s a really good cause. I’ve also become good friends with a few of the other authors involved in the anthology, and it’s always great meeting other authors. That is a great cause and I want to thank you for being involved in it! Let’s get back to your books. You’ve done all that hard work. The book is published. The reader buys your book. When the reader finishes reading your book, what do you want to happen? For him or her to buy the next in the series! And for the reader to have liked the book—that’s important! I want my writing to mean something to its readers. And it’s even better if the readers keep thinking about the deeper messages in the novel after they’ve finished the book—dystopian fiction is great for this as so often these fictitious societies interact and engage with today’s world on so many levels. You’ve probably gotten lots of advice as a writer. What’s the best advice you’ve ever gotten about writing? Write with your biggest fan in mind, and don’t read your reviews. If you come across a negative review, you’ll pay way more attention to it than you do all your positive reviews together, and it’ll disrupt your writing for days. That review advice is awesome. I’m afraid I would be very tempted to read those reviews and would let bad ones bother me. So now it’s your time to dispense some advice. Right now, a thirteen-year-old girl who wants to be an author is reading this interview. What do you tell her to inspire her to follow her dream? To keep writing! Write every day and get into the habit of writing. Even if it’s just a couple hundred words each day, it’ll add up. And no one can tell you that you’re not a writer. You ARE. The other thing is, when the time comes to look into publishing routes, research each publisher thoroughly. Unfortunately, there are a lot of scams out there. In short, if someone says you’ve got to pay them to get published (even if they say that you’d be paying for editing or cover art), then run. A legitimate publisher never asks their authors to pay anything, and a publisher should invest their own money in the author’s work. Great advice! And obviously, there is a lot that an old man like me can get from that too. Writing isn’t easy, you’ve shown us that. What challenges do you face as an author? I think the unpredictability of a writer’s career is the biggest challenge I face most of the time. You can’t really predict how your earnings will be in a year’s time, and so there’s the constant need to bring out new books. Luckily, I have this burning desire in me to write and I want to write…and write as much as I can. But I often feel like I can’t write fast enough and that I have too many stories inside me that are just waiting patiently in line. Obviously, you are a full time writer, so selling your books is one joy you get as an author. There are others, I’m sure. What joys do you experience as an author? My favourite moments are when I get emails from readers who’ve just finished one of my books and they tell me how much they loved a certain character, or what one of the novels meant to them. So that any readers can tell you these things, what’s the best way for someone to contact you? Let’s get back to the process. I just realized we left your book at the level of the best you can do. You’re ready for the publisher. Tell me the process you went through to get published, once you finished writing. Okay. So, Untamed was my debut novel, but it was the fourth manuscript that I completed. (Writing the others before it really shaped me as a writer, and if I hadn’t stuck to it and written them, I couldn’t have written the manuscript that became my debut. Lots of authors, including me, also believe that you should never publish the first manuscript you write.). So, when I had completed Untamed, I sent queries off to many agents and acquisitions editors. Quite a few then requested the full manuscript, and at that stage, I got an offer from a publisher. However, at the same time, another publisher offered me an R&R (revise and resubmit) with detailed feedback about how they thought I could improve the book further and make it more gripping and slightly darker. After thinking long and hard, I decided to go with the R&R over the offer, and did another editorial round. Developing the darkness in the book was something that I really loved and I could tell immediately that it had made it better. When I’d finished the R&R edits, I sent the manuscript back to the acquisitions editor. Ultimately, she decided not to offer on it then as it still wasn’t quite right for her house, even though she loved it (and she wanted to know which publisher it ended up with). But at this point, I had a much stronger manuscript. I started querying again, and within a few months, I had three more offers from publishers who all really wanted Untamed now that it was darker in tone. And so, aged nineteen, I signed my first book deal and felt really confident in my manuscript. I would assume that you are getting better in your skills. What do you do to improve your writing craftsmanship? Read! I’m a firm believer that all writers should keep reading continuously to improve their craft, whether they read fiction or books on the craft. I tend to read more fiction (after all, knowing the current market and what’s popular is important), but I also have a core group of writing craft books that I regularly read alongside when I’m drafting a new manuscript. Talking to other writers is also important, and I regularly swap passages of manuscripts with other authors. Critiquing each other’s work is so valuable, not only for the one getting the feedback, but also the writer assessing it and making the comments. Last question. I promise. You began with traditional publishing. Now, because of circumstances, you are moving to independent publishing. Based on what you’ve experienced so far, what are the differences? Would you prefer to stay in a traditional publishing model or are you enjoying the Indie model? 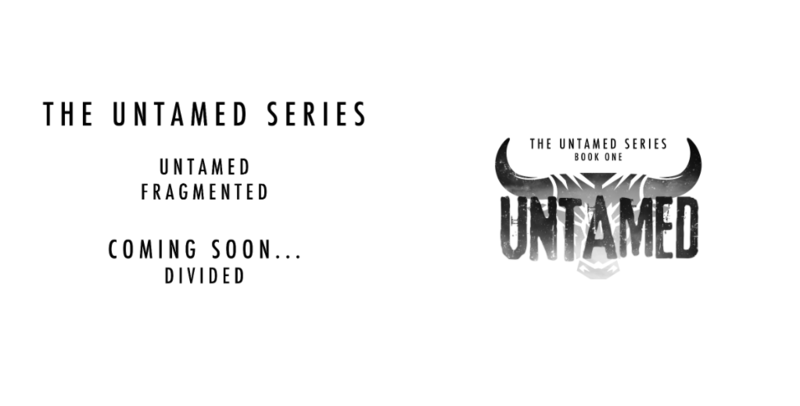 Yes, the publisher for my Untamed Series closed, and when rights reverted to me, I decided to self-publish new editions of the titles to keep the books in print. I couldn’t keep the formatting, covers, or ISBNs (as these were my publisher’s), but I still wanted my books to look as professional as they can, and so I made a list of all the things that I couldn’t do and that I’d need to outsource, such as cover art, interior design, and formatting. With my first two novels, they’d already been professionally edited by an in-house editor, so I didn’t have to worry about editing costs–though, I’ll be releasing book three in my series independently right from the start, and I’ve already booked the same editor who edited my first two books in-house to work with me on this, as she now does freelance editing too. The main difference between traditional and self-publishing is whose money is being invested. With traditional publishing, the publisher is investing their money in the production costs, whereas as an indie, it’s your own money. And so if you’re self-publishing (and if you’re writing for a living) you’ve got to be confident that you can break even (at least) with your books, and early on. That isn’t to say that you should only write for money—I’m a firm believer that you need to love writing (readers can tell if you don’t). But to make it into a career, you also have to see it as a business and understand the market you’re writing for. So far, I’m really enjoying how much control I get with self-publishing. My cover artist, Molly Phipps, is amazing, and she’s also done the interior design for the ebook and paperback editions, as well as the formatting. I like knowing exactly what’s happening, and setting my own deadlines and release dates. I’ve also decided to set up my own independent self-publishing imprint, Ineja Press, for my Untamed Series, and I’ve bought my own ISBNs rather than use the free ones provided to self-publishing authors via distributor sites. My main reason for doing this is that I still want bookstores to be able to order copies of my books in, and some won’t look at a self-published book if CreateSpace owns the ISBN. But I’m not ruling out traditional publishing, as both models have their advantages. Some books are better suited to the traditional route, and I’m working on a manuscript now that I’ll be querying soon. For me, starting to independently publish my work doesn’t mean that I’m only going to self-publish from now on. I like what both routes offer, and each can help me reach new readers. And if people are reading my books, then I’m happy. Madeline, thank you so much for talking with me. You are a great role model for other writers. I have learned a lot and hope that I can use what I’ve learned to do a better job as I prepare for publication myself. Interestingly enough, the book I am working on right now is the fourth manuscript I’ve written. So, we have that in common. Good luck on this new release and for your new projects, including your secret manuscript. That intrigues me. Thank you. Watch for Fragmented later this month and Divided in July. And don’t forget the Lift 4 Autism project releasing in April of this year. Madeline Dyer lives in the southwest of England, and holds a BA honours degree in English from the University of Exeter. She has a strong love for anything dystopian, ghostly, or paranormal, and can frequently be found exploring wild places. At least one notebook is known to follow her wherever she goes. 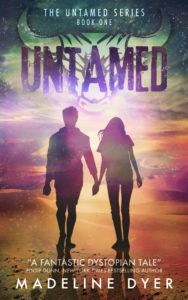 Her debut novel, Untamed (first published by Prizm Books in 2015), examines a world in which anyone who has negative emotions is hunted down, and a culture where addiction is encouraged. Her second novel, Fragmented, released in September 2016, and will be followed by Divided in July 2017. 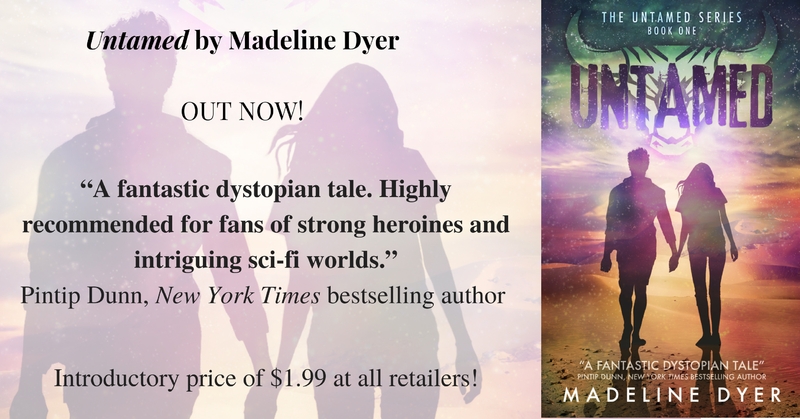 The new-look edition of Untamed by Madeline Dyer is now out in the world! And, to celebrate, the ebook is only $1.99 on all platforms! Grab it now! Plus, you can read Chapter One here! Intrigued? 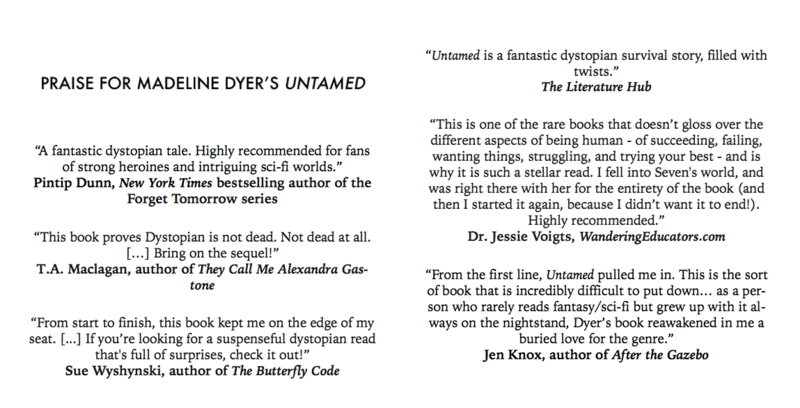 Want to know what other people have said about Untamed? Find Untamed at your favorite retailer now for $1.99! Paperbacks of the new edition should be in stock soon! Sign up to Madeline’s newsletter to be the first to hear about their availability. 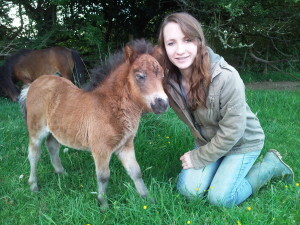 Madeline Dyer lives in the southwest of England, and holds a BA Honors degree in English from the University of Exeter. She has a strong love for anything dystopian, ghostly, or paranormal, and can frequently be found exploring wild places. At least one notebook is known to follow her wherever she goes. Her debut novel, Untamed examines a world in which anyone who has negative emotions is hunted down, and a culture where addiction is encouraged. Her second novel, Fragmented, released in September 2016, and will be followed by Divided in July 2017. Aiden and Seppe left the alley and turned towards the bar to question the patrons. A figure emerged from the night time shadows. His eyes followed the two and then glanced back at the murder scene. He had dropped the Qu’epic during the execution and was on his way back to the murder scene to retrieve it when the cops pulled up to the scene. He had observed the whole search process anxiously, hoping that if they found the Qu’epic, they wouldn’t realize its significance. He was puzzled as he watched the one cop pick it up and hide it in his pocket, not telling his partner of his find. In fact, that cop had told his partner that he had found nothing. He wondered why a cop would lie to another cop about finding evidence. He also wondered how such a young cop would understood that the Qu’epic had any significance. Up until now he had killed without fear of discovery. Now he wondered if he had made a mistake that would open the door for the cops to catch him. His previous kills in different kandas around the city were meant to appear random to avoid exciting any attention. This was his first murder since the shipment of the evil ones to Darwinda had been complete. He wondered how that would make the cops respond to his killings. He smiled. He could still outwit these cops. “They can’t even figure out the obvious clues I leave at each scene,” he said as he laughed derisively. He backed away and then turned, walking away of the area, hoping that no one had seen him. He had disintegrated the outer clothes he had worn to kill the big tall Ca’suisse, but he knew that some fluids might have made it through the outer clothing and onto the inner clothing. Even though he had taken every precaution, he didn’t want to take any chances of being questioned by the police. He had to control his emotions when he realized that this was kill number five and nobody still had any idea about him or even that all the killings were all the work of one man. He couldn’t resist a smile as he got back to his skimmer. He knew where the two cops were headed, not that they would get anything at the bar. He didn’t bother to stick around and watch as Seppe and Aiden entered the bar. The first thing Seppe and Aiden noticed was that the patrons were far from unhappy at being told to wait. In fact, they had started an old fashioned Wesdanian wake. The noise of the music blaring out of the concert box made it impossible to think, let alone talk, and nobody had an empty glass. Seppe decided then and there that it would have been better to question witnesses first, before examining the area, to get clear, sober stories. Aiden decided to take decisive action. “Quiet!” he yelled. While the customers settled down, the concert box continued blasting its noise. “Shut that thing up,” Aiden growled as he pointed at the concert box. “Who wants to go home?” shouted a voice from the back. “We’re enjoying this old Wesdanian Wake! Have a Sufran Ale, officer!” The crowd in the bar laughed and cheered. It was getting loud again. Aiden nodded, “We will. You could show even greater respect by helping us find out who did this. Did anyone see a Ca’suisse here in the bar tonight? On your way to the bar? He was about 2.1 meters tall, had a full head of red hair, and a slight pot belly.” He knew the size alone would help pinpoint an encounter with Grenoj since Wesdanians rarely grew taller than 1.7 meters themselves. Aiden nodded and walked towards the bar. Seppe had never been wrong on one of his hunches. The joke was that one day Seppe would be wrong on a hunch, but that Aiden would be long retired and not be able to enjoy rubbing it in. Seppe sighed because knew that he would be breaking his “hunch” record. He knew he couldn’t talk to the bartender. He had seen her Qu’evahn tattoo. She would recognize that he was Qu’evahn also, even without the tattoo, and reveal his ethnic identity. That would finish his career on the Wesdanian police force; he didn’t know any other non-Wesdanian on the force. He had worked hard to hide his Qu’evahn identity and he didn’t want to ruin his career on this issue. When he realized that, he grabbed the closest poor shnook and gave him some tough questioning. Aiden walked back after talking with the bartender expecting to see a triumphant smile on Seppe’s face. Seppe’s hunches were never wrong. Aiden was shocked to see a frown on Seppe’s face. “What?” he mouthed noiselessly. “It had to happen sometime,” shrugged Seppe. “Whatta you mean, Aiden?” Seppe asked, puzzled at his partner’s attitude. “Sounds good for you,” Seppe responded. He waited to see if Aiden would continue with the normal comments about Qu’evahn women. “Besides, I don’t know if you noticed this, but she’s Qu’evahn. Hot and Qu’evahn. Could it be any better? I hear that Qu’evahn women know some mighty fine tricks!” Aiden was lost in his own little dream world. He didn’t notice the darkening face or the quivering tendrils on his partner. Seppe’s fought to control his darkening face. He didn’t want to his face to grow so dark that it would reveal his Qu’evahn heritage in his anger. He hoped that Aiden would attribute the color change to anger at being wrong in his “hunch.” He needn’t have worried. Aiden was so busy enjoying the moment that he didn’t notice anything else. On the road back to the station, Seppe started cooling down. He wondered why it bothered him so much that Aiden believed the stereotype about Qu’evahn women. It wasn’t as though he had pride in his heritage. Still it was his heritage and it annoyed him. His color returned to normal as he calmed down, but he knew that he would have to sort out his feelings. He yawned slightly and suddenly realized it was second moon fall as he looked out the viewport of the skimmer. He needed to get home and get some sleep.